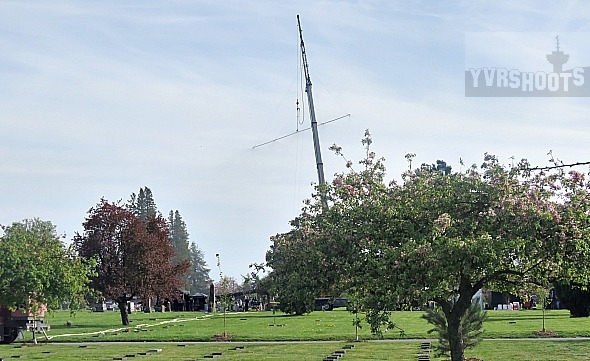 The Flash is filming its season 2 finale over the next week or so including a shoot in the rain at Vancouver’s Mountain View Cemetery yesterday. 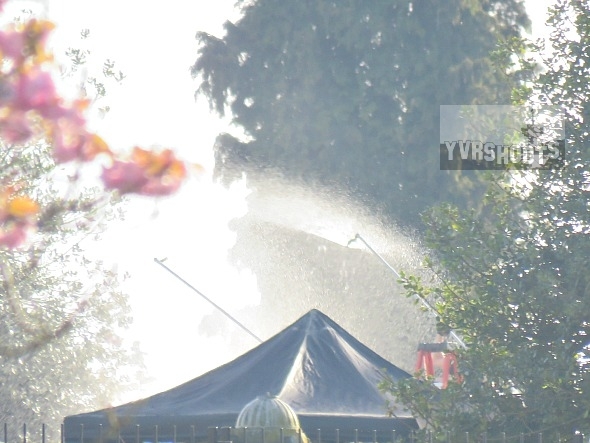 A gigantic rain tower turned a sunny day into a wet one for cast and crew. What is going to happen with Barry Allen (Grant Gustin) and Team Flash – Joe West (Jesse L. Martin), Iris West (Candice Patton), Cisco Ramon (Carlos Valdes), Caitlin Snow (Danielle Panabaker), “Harry” Wells (Tom Cavanagh) and newbie Wally West (Keiynan Lonsdale)? After Mountain View, one of the neighbours watched The Flash film at Joe West’s house in the Cambie Village. (corrected neighbourhood). Iris West and Barry Allen on the steps. Update: This photo is Barry Allen at the end of the season 2 finale kissing Iris West goodbye as he goes back in time to save his Mom. Grant Gustin’s Instagram from Thursday. First day of the season 2 finale for me. With the one and only JLM. 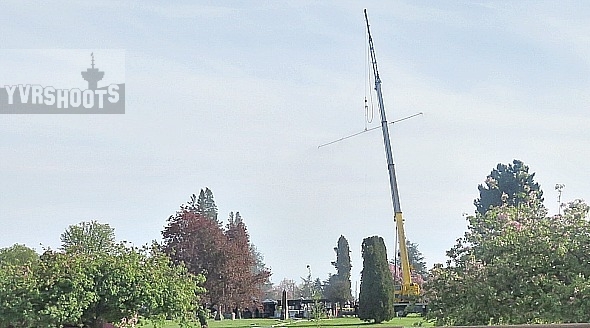 The Flash is expected to wrap filming of season two in Vancouver on April 17th (date subject to change).